The Levy County Sheriff's Office and the Levy County School Board will have an auction Saturday, December 3, 2011 at 9:00 AM. Surplus property will consist of cars, vans, trucks, buses and a Gravely mower. The auction will begin at the Levy County Sheriff's Office and will conclude at the School Board Facility 2 miles east of Bronson on Alt 27. 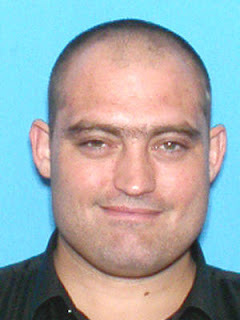 Jeremy Lee Astrologo was convicted in Alachua County in 2001 for lewd & lascivious on a child less than 16 years of age. Astrologo was living at 16951 NW US Highway 19 Fanning Springs, Fl. and now residing at the below address in Levy County. For a complete listing of all registered sexual predators and offenders residing in Levy County, or to search by zip code, please visit www.flde.state.fl.us and go to the sexual data base. 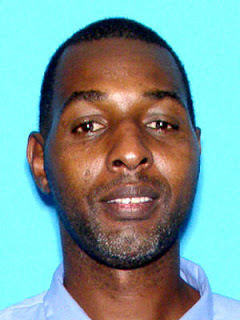 Robert Lewis Jr. was convicted in Alachua County in 2005 for sexual battery. Lewis was living at 4041 SW 13th Street Gainesville, Fl. and now residing at the below address in Levy County. For a complete listing of all registered sexual predators and offenders residing in Levy County, or to search by zip code, please visit www.flde.state.fl.us and go to the sexual data base. On November 11, 2011 the Levy County Sheriff's Office received a complaint in reference to a sexual assault. The allegation involved Zachary Knight a Lieutenant with the Levy County Sheriff's Office. Upon being advised of the complaint the Florida Department of Law Enforcement was immediately contacted. FDLE assumed command of the investigation and interviewed the victim and witnesses. Late this evening a search warrant was executed at a Levy County residence by FDLE & the Levy County Sheriff's Office. FDLE obtained an arrest warrant for Knight and he was arrested at a Chiefland residence. Knight has been charged with armed sexual battery, false imprisonment, and aggravated assault and tampering with a victim. Knight has a $ 2,050,000 bond. Knight has been suspended without pay. As you know today is Veterans Day and it is certainly appropriate for us to reflect on the immeasurable sacrifices our men and women who are currently serving and who have served in our military have made to protect our freedoms and our way of life. As we pay tribute to these dedicated patriots today, I want to thank you for sharing a special place in our society along with them. God Bless you & our Country!!! The Levy County Sheriff's Office on November 5, 2011 responded to a fixed wing single engine airplane crash in the Morriston area that resulted in two fatalities. A witness with over 50 years as a pilot advised that the aircraft taxied down the Wing Field private air strip shortly after 4:30 pm. 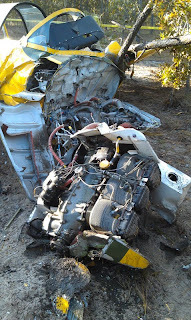 The witness stated as soon as the airplane took off he heard the airplane spit & sputter and then watched it crash into a heavily wooded area just north of the air strip. 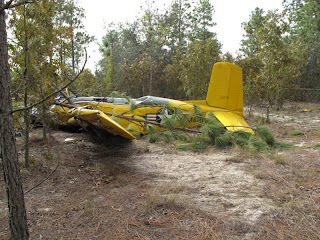 The investigation revealed the aircraft was a 1956 Beech Craft T-34. The aircraft was registered to Ralph Ken Terry from Daytona Beach, Florida. The deceased were identified as passenger Ralph Terry and pilot Mike Fuller from Port Orange, Florida. Mr. Terry was retired from Northwest Airlines with approximately 30 years of service and over 60 thousand hours of flight time. Mr. Fuller was a manager at Yelvington Aviation. On November 6, 2001 the Levy County Sheriff's Office transferred the investigation to the Federal Aviation Administration and the National Transportation Safety Board. The Levy County Sheriff's Office is investigating a fixed wing single engine airplane crash in the Morriston area that resulted in two fatalities. A witness with over 50 years as a pilot advised that the aircraft left the private air strip called "Wing Field" shortly after 4:30 pm. The witness stated that the aircraft spit & sputtered and crashed in a heavily wooded area. It is unknown at this time the cause of the crash, but weather is not believed to be the cause. At this time the victims have not been positively identified. The Federal Aviation Administration and the National Transportation Safety Board will respond first thing tomorrow morning and the investigation will resume in the day light hours. More details will be forthcoming as soon as possible. The Levy County Sheriff's Office and the Chiefland Police Department executed three drug search warrants simultaneously in the Chiefland area. The operation began shortly after dark last night and five people were arrested on various charges. The charges range from obstruction of justice to a variety of drug charges. Arrested was James Tarnellius Clemons at 725 S.E. 1 Street, Chiefland. Upon arrival, Agents located Clemons outside in the front yard cooking oysters. Clemons obstructed officers and resisted arrest without violence. 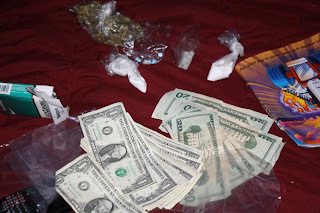 Upon the search warrant being executed at his residence agents seized 81.7 grams of marijuana, 6.9 grams of crack cocaine, 5.2 grams of powder cocaine, cutting agents to manufacture his drug operation, straws, baggies, scales and a large amount of US Currency. In the second search warrant, agents arrested Craig Joshua, 28 years of age, from Chiefland. The search warrant at 8871 NW 55th Ave. stemmed from a series of investigations that involved the purchase of drugs from Joshua. During the raid, the agents seized 57 pieces of rock crack cocaine, 3.5 grams of marijuana and US currency. Joshua also had outstanding Levy County warrants for the undercover buys. While agents were at Joshua's residence, Rollie Tillery pulled up in the driveway. Lt, Ray Tremblay, with Chiefland Police Department, observed Tillery fumbling and attempting to hide something in the car. A search revealed that Tillery hid crack cocaine in the back seat and he was arrested for possession of crack cocaine and resisting arrest without violence. The third search warrant was executed at 13559 NW 65th Terrace in Chiefland. Drug Task Force arrested Jessie Bryan Balogh for trafficking in cocaine, possession oxycodone with intent to distribute and numerous other felony drug charges. 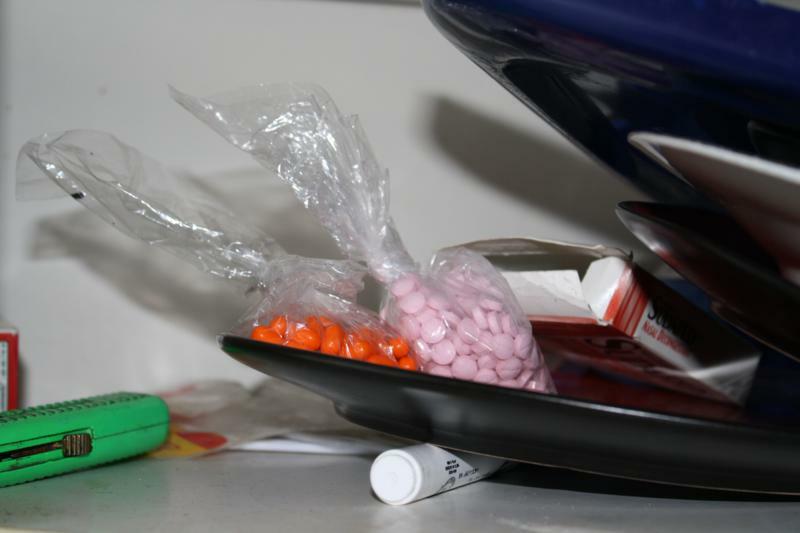 Agents seized 35.4 grams of cocaine, oxycodone pills and 52.2 grams of marijuana. While agents were executing the warrant, Kelvin Thompson pulled up to the residence and he was arrested for felony driving while license suspended and possession of marijuana (29.2 grams). When Thompson saw the agents, he immediately threw a bag of marijuana which was later located and seized. 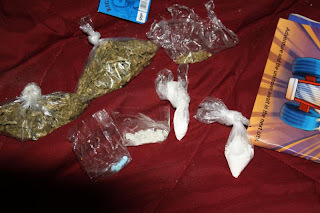 The raids were executed simultaneously due to the understanding the drug dealers were believed to be associated and the operation could have put the Deputies in harms way. The street value of the narcotics seized was approximately $10,000 and agents recovered over $4,000 in cash. The Chiefland drug operation resulted in 15 felony arrest and 13 misdemeanor arrests. We are very proud of our Drug Task Force in their efforts to fight the war on drugs.